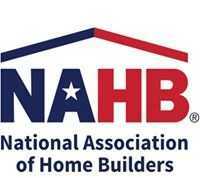 WASHINGTON (June 15, 2017) –- (RealEstateRama) — Time is running out to submit an abstract to present at Building Innovation 2018: The National Institute of Building Sciences Sixth Annual Conference and Expo. The deadline is this Friday, June 16, to participate in the industry’s only all-inclusive Conference where members of the entire building community come together to connect, collaborate and create solutions that benefit the built environment. Building Innovation 2018, which will explore strategies to Sustain, Strengthen, Secure, is scheduled for January 8-11, 2018, at the Mandarin Oriental in Washington, D.C. The Institute’s Conference Planning Team invites industry professionals to present during the four-day Conference. Industry leaders with valuable insights, case studies, best practices, lessons learned and/or remaining challenges are encouraged to share their knowledge and experiences with the broad audience of building industry stakeholders. Speakers should plan for their presentations to run 20 to 30 minutes in length, with an additional 10 to 15 minutes for Q&A. Sessions will be organized into either two-person, 90-minute sessions or three-person, 90-minute panels, depending on the topic and time available. Speakers may submit an abstract for an individual presentation or multi-person panel. Panels should represent varied perspectives or industry viewpoints. The Institute reserves the right to organize panels as needed. Interested parties should submit a 200-word abstract, a 150-word biography, learning objectives and five keywords describing their presentation via the online application. Promotional presentations on products or services will not be considered. Abstracts are due Friday, June 16. If selected, speakers should be prepared to submit their final PowerPoint presentations and high-resolution headshot by Friday, October 14. They will receive a complimentary registration to attend the day of their speaking event or a 50% discount on full registration. Find out more information on Building Innovation 2018. Be there to present where Science meets Design. Submit your abstract via the online form before the June 16 deadline. 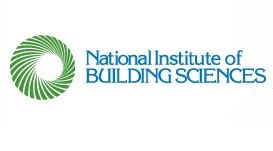 The National Institute of Building Sciences was authorized by the U.S. Congress in the Housing and Community Development Act of 1974, Public Law 93-383. In establishing the Institute, Congress recognized the need for an organization that could serve as an interface between government and the private sector. The Institute's public interest mission is to serve the Nation by supporting advances in building science and technology to improve the built environment. Through the Institute, Congress established a public/private partnership to enable findings on technical, building-related matters to be used effectively to improve government, commerce and industry.